My laboratory’s primary expertise is in molecular imaging, targeted radio diagnosis, and therapy using small molecules and monoclonal antibodies. 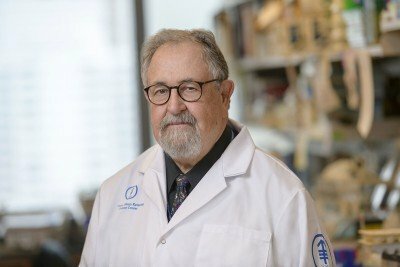 Currently, I am corresponding primary investigator of Memorial Sloan Ketterings’s In Vivo Cellular and Molecular Imaging Center (ICMIC) and coleader, with Ingo Mellinghoff and Charles Sawyers, of Research Project 4, studying molecular imaging correlates and biology of activation of the AR-axis in castrate-resistant prostate cancer. 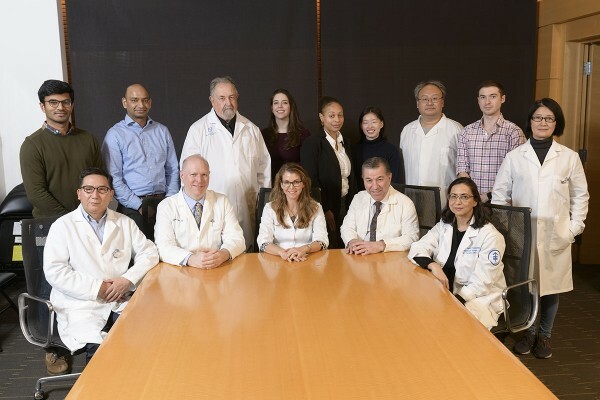 This project builds on extensive prior imaging collaborations with prostate cancer specialists Howard Scher, Michael Morris, and Peter Scardino and has led to the development of molecular imaging approaches to androgen receptor (AR) imaging as well as several novel radioantibodies that image downstream effectors of AR signaling. Nuclear medicine physician Steven Larson focuses on molecular imaging in animals and humans using high-resolution diagnostic instruments, such as positron emission tomography, and single photon emission tomography. View Steven M. Larson’s profile. Phillips E, Penate-Medina O, Zanzonico PB, Carvajal RD, Mohan P, Ye Y, Humm J, Gönen M, Kalaigian H, Schöder H, Strauss HW, Larson SM, Wiesner U, Bradbury MS. Clinical translation of an ultrasmall inorganic optical-PET imaging nanoparticle probe. Sci Transl Med. 2014 Oct 29;6(260):260ra149. doi: 10.1126/scitranslmed.3009524. Epub 2014 Oct 29. Morris MJ, Molina A, Small EJ, de Bono JS, Logothetis CJ, Fizazi K, de Souza P, Kantoff PW, Higano CS, Li J, Kheoh T, Larson SM, Matheny SL, Naini V, Burzykowski T, Griffin TW, Scher HI, Ryan CJ. Radiographic progression-free survival as a response biomarker in metastatic castration-resistant prostate cancer: COU-AA-302 results. J Clin Oncol. 2015 Apr 20;33(12):1356-63. doi: 10.1200/JCO.2014.55.3875. Epub 2015 Jan 26.